Volatility in financial markets can be worse than actual declines. Why? Because it creates a level of uncertainty that most investors find disquieting. So what can you do to combat the natural angst that accompanies heightened volatility in the markets? First, I think it is important to recognize that volatility is a normal part of investing. In fact, investors may be more at risk during times of complacency as they assume that the good times will continue to roll. This can result in allocations getting out of whack, which can eventually expose the investor to more risk. Also, during the good times, investors tend not to be concerned with investment expenses. Most investors would not care about expenses if they earned 10% in a given year. However, in a period of low returns such as the present, a high expense ratio can materially cut into an investor’s net returns. Volatility can also wreak havoc with an investor’s systematic investment plan. 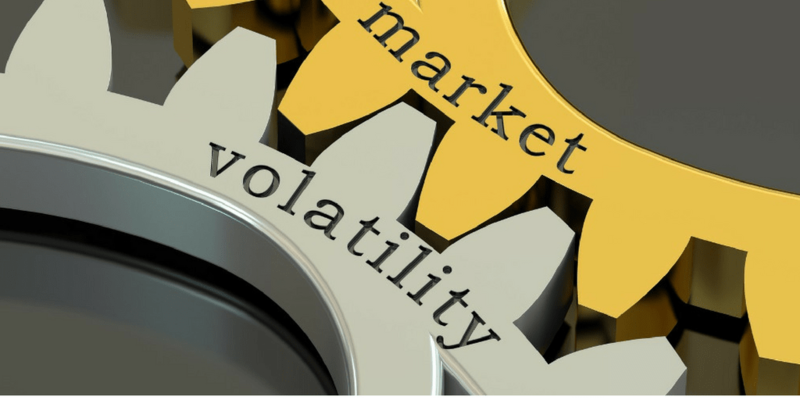 Many investors may feel that it is rational to hold off on contributing more of their funds to the market during times of heightened volatility until things settle down. By continuing to contribute the same amount to an investment account, you will buy more shares when the market is down, and fewer shares when the market is up. How about that-buying more shares when prices are down and fewer shares when prices are high. Sounds like a recipe for solid returns in the future. So what can you do to calm yourself when volatility ticks up? First, remind yourself that short term moves in the market have no bearing on what you will earn over the long term. You may find it comforting to think of the market as you would any piece of technology that you own such as a computer, smart TV or smartphone. They may be wonderfully reliable and useful devices, but sometimes they go haywire and need to be rebooted. That, essentially, is what volatility can do for markets. They are temporarily AWOL, but in the end will return to normal. Constantly checking your phone for updates, or watching CNBC during periods of volatility will only make things worse. Turn your attention to something more useful-you will feel better and accomplish more.